Two Posts in One Day? Do I Need a Life? Yes, you don't see me for weeks..or months... and then...BOOM. Here I am twice in one day? I really recommend you check out Stamp, Ink, Paper Challenge if you want a fun and creative mixed bag of feature challenges. They have a fantastic design team! 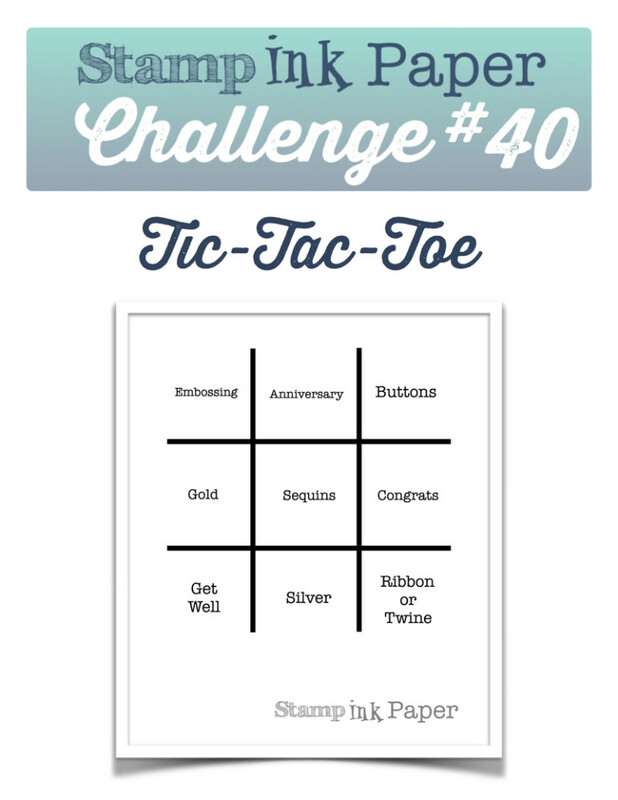 This week's challenge was a Tic, Tac, Toe challenge! What's that, you ask? Basically - YOU DO WHAT YOU WANT. You have to make a straight line - so...... for example I chose to go with "Gold - Sequins - Congrats" for the win ;) . I will admit... this card took WAAAAAY more time than I wanted it to. I had technical issues. Technically I daydreamed and watched the snow falling outside...for the umpteenth day. Technically, I changed my mind 3 times about what I wanted to do. But I this is what I came up with! I used almost exclusively Stampin Up! for this project with the exception of the verrrrrrry smouldering smoky plum card stock. The Bloomin' Heart thinlet dies are still my favourite for birthdays, weddings, or anything "girly"! I even went for a bit of shimmer on those flowers with a Wink of Stella (the picture doesn't do it justice!) And those sequins just add enough pop! Thanks so much, Ginger! 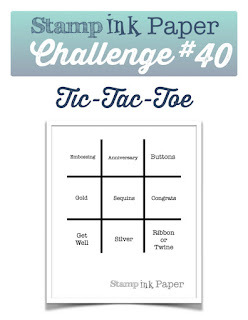 It's my 1st tic,tac, toe challenge ever... I definitely think I will do another one! It was fun! Your card is so beautiful and elegant, Amber! I love the black/ gold combo. Thanks for playing along with us this week at Stamp Ink Paper! Thanks Sandy! I love the design team's creation this week - all so different yet SO creative! 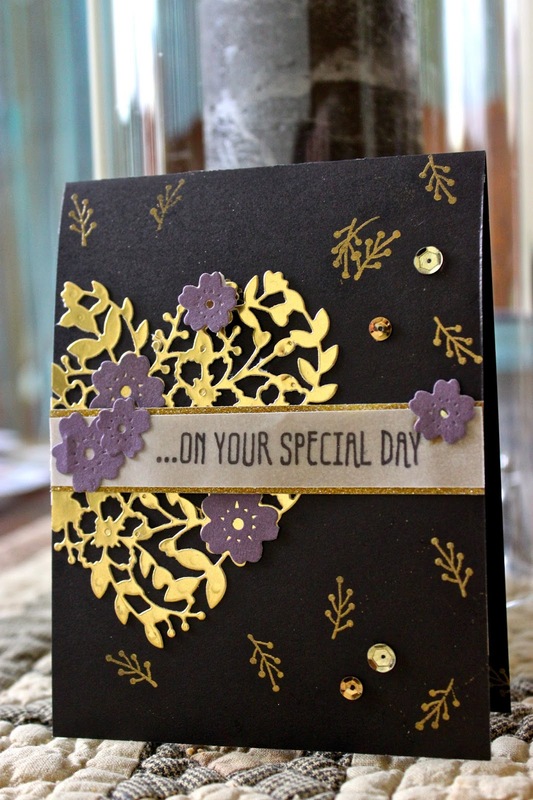 I'm so loving the bold brightness of the gold with the black card base. It gives it a classy look and that's a win-win in my book. Thank you for playing along with the Stamp Ink Paper card challenge.